Dr. Adanna Steinacker is a Medical Doctor, Motivational Speaker, Digital Influencer and Entrepreneur who is passionate about female empowerment and humanitarianism. She is the Founder and CEO of the healthcare startup Medics Abroad, an organisation which is redefining medical educational travel experiences in Africa. The organisation matches international healthcare professionals with thoughtfully curated, all-inclusive arrangements for clinical practice in Africa – combining invaluable work experience with community immersion. Dr. Steinacker was the first black female entrepreneur to be selected for the Enterprise Ireland Female High Fliers Programme, the leading incubator for female entrepreneurs in Ireland. 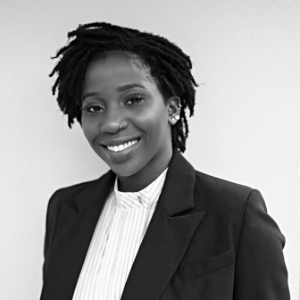 She is also the Co-Founder and content creator of the digital consultancy company Adanna David Digital Ltd., under which she runs her social media platforms of over half a million followers and consults with brands on influencer marketing. Her clients have included L’Oreal, Dubai Tourism, KLM, Disney and eBay.